Two farm-to-table courses, which will teach people how to grow food in an urban setting as well as cover the nutritional aspects of growing your own food, will be offered this summer by Erie Community College. There will be demonstrations by local chefs and speakers from various garden backgrounds. Classes will be held in a learning garden in a 2,000-square-foot donated plot of land in the Canalside development next to Harbor Center, 100 Washington St., Buffalo, as well as at the ECC City Campus. Each is a three-credit course. You don’t have to be working toward a degree to take the courses. 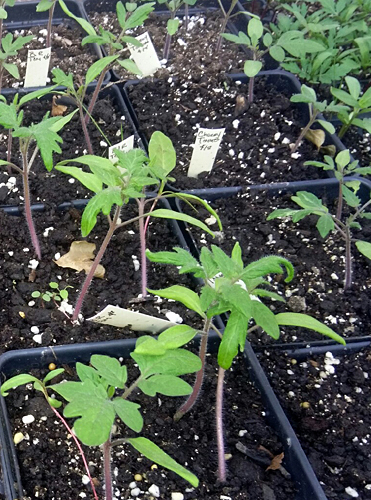 The first course, HC 142 AB, “Learning in a Working Garden I,” will cover topics such as soil health, choosing plants and growing plants from seeds. It will run from 8:30 to 10:45 a.m. Mondays, Tuesdays and Thursdays during Summer Session 1, May 26 – July 2. The second course, HC 143 BB2 “Learning in a Working Garden II,” will cover cooking and the nutritional value of eating fresh local produce as it becomes available. It will run from 8:30 to 10:45 a.m. Mondays, Tuesdays and Thursdays during Summer Session 2, July 6 – Aug. 14. All of the produce grown will be distributed to local restaurants, local food banks or sold at the Canalside Artisans Market. The courses aren’t shown in the course schedule book. You can register at ECC or online. The courses will be taught by Jody Allsbrook, a chef who started a rooftop garden at the Buffalo Club and a satellite garden at Organic 3 Cafe in the Elmwood Village, and Kristin Goss, assistant professor of culinary arts at ECC. You can contact the instructors through the ECC Learning Garden Facebook page. 20 ideas for Mother’s Day in Western New YorkCan you help this reader with a lawn problem? So cool to see my alma mater offering this type of course! “cover cooking and the nutritional value of eating fresh local produce” sounds good to me! What do these classes cost? The cost depends on whether you are full time or part time and where you live. See a listing here: https://www.ecc.edu/tuition-fees/ or contact ECC directly.